Comments: Has purple foliage and bark that is white with a cinnamon hue after it is several years old. Foliage has good fall color. A nice tree to plant in a location where its several features can be enjoyed during the year. Not a long-lived tree. 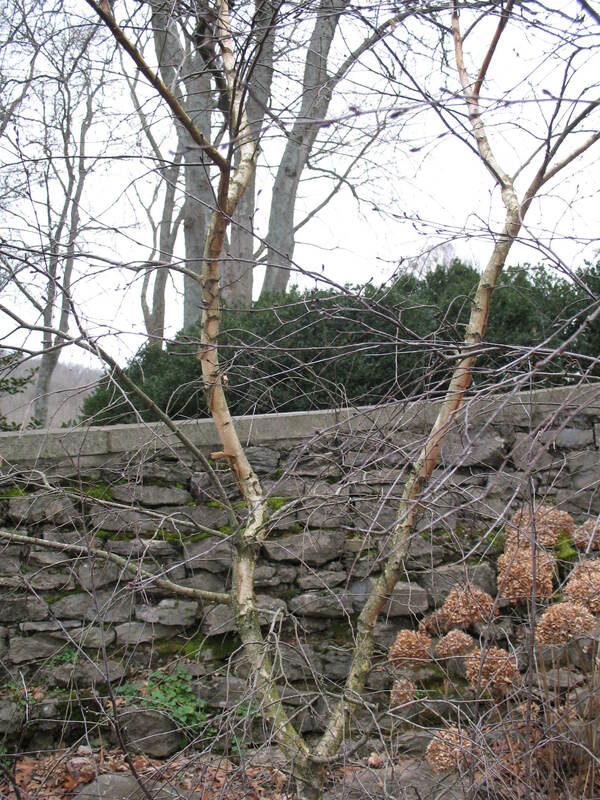 River birch trees often produce multiple trunks or if desirable two or more single trunked trees can be planted together to form a multiple trunked specimen. Nice to light river birch trees at night to feature their handsome trunks.